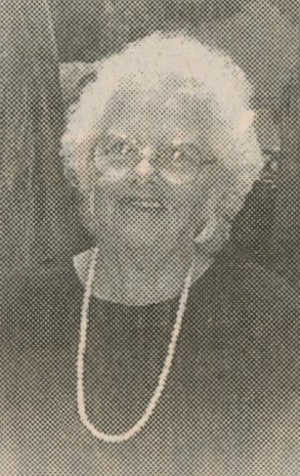 Obituary – Coldiron, Nell Eunice (Wetzel) « Perry High School Alumni Association, Inc.
﻿Nell Wetzel Coldiron, born Sept. 24, 1908 near Perry, died Jan. 1, 2005 in her home in Lahaina, Hawaii. She was the daughter of Tom Wetzel and Anna Huffington Wetzel. Tom Wetzel owned the Elite Hotel in the early 1900s and served as sheriff of Noble County from 1914 to 1920. 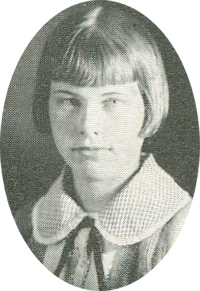 Nell graduated from Perry High School and attended Phillips University in Enid and Edmond State Teachers College. She taught school three years before marrying Victor Coldiron in 1930. They moved to California in 1931 and resided there until Victor’s death in 1980. In 1981 Nell moved to Lahaina, Hawaii to be near her daughter Vicki. She is survived by a daughter, Vicki Coldiron of Purcell, Okla., and a son, Terry Coldiron of Lakewood, Wash., and a grandson, Christopher Coldiron of Costa Mesa, Calif.
She was preceded in death by her husband, Victor; a daughter, Daisy Ann; her parents; two sisters, Luticia Wetzel Cathey, and Wilma Wetzel Lynch; and two brothers, Leo Wetzel and Nick Wetzel. Other relatives include: sister-in-law Mary Ellen Coldiron, and nephews Dan (Beverly) Coldiron and Reed (Roni) Coldiron, all of Perry.